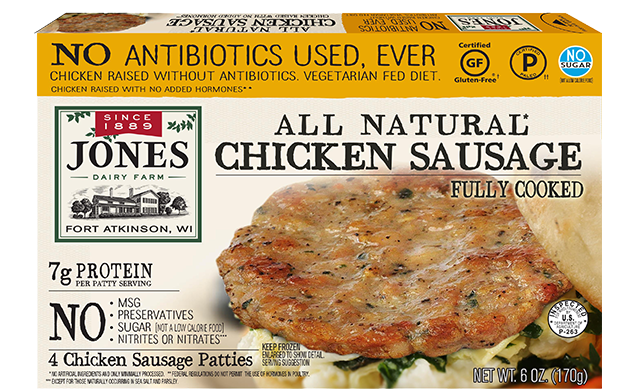 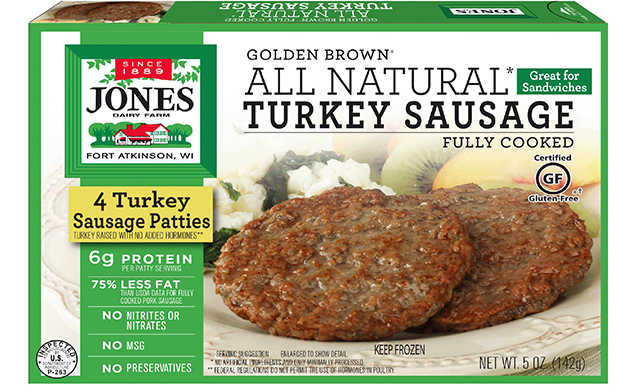 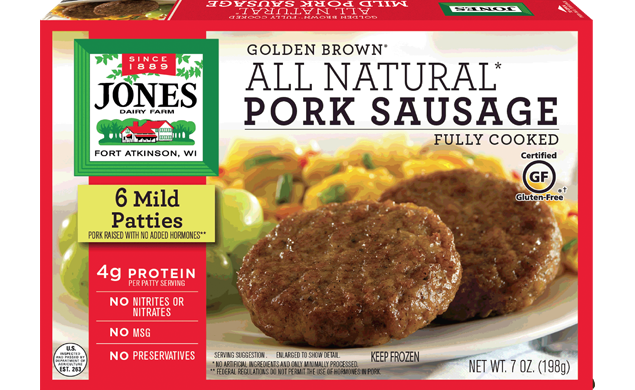 You can make breakfast any time of day with fully cooked breakfast sausage from Jones. 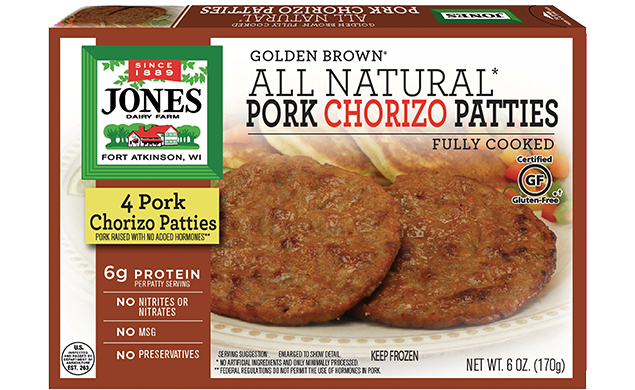 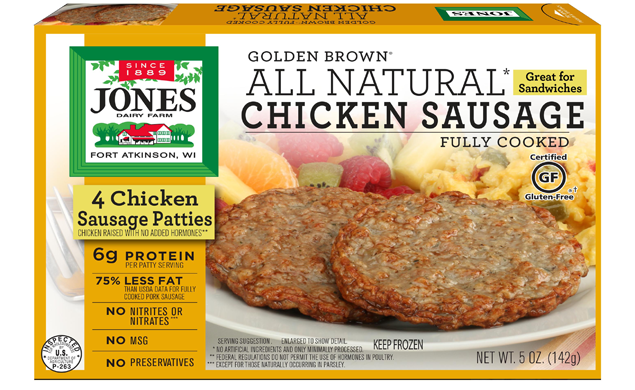 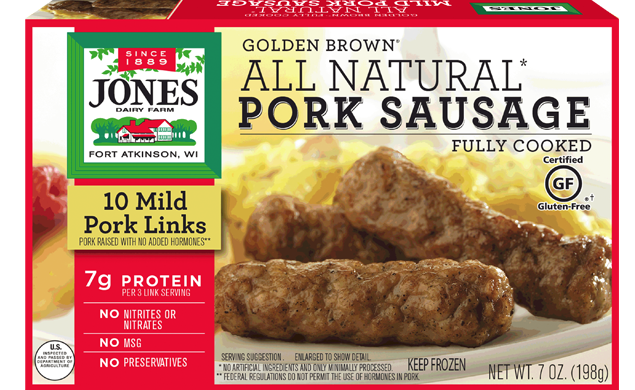 Our Golden Brown® breakfast sausage product line ​is fully cooked, frozen and simply delicious. 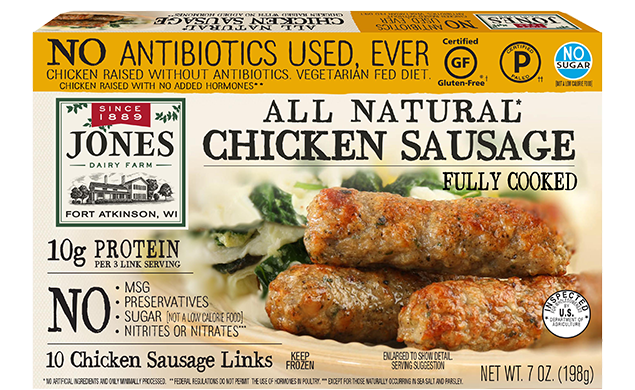 Freezing locks in the freshness, so we don’t need to add artificial preservatives. 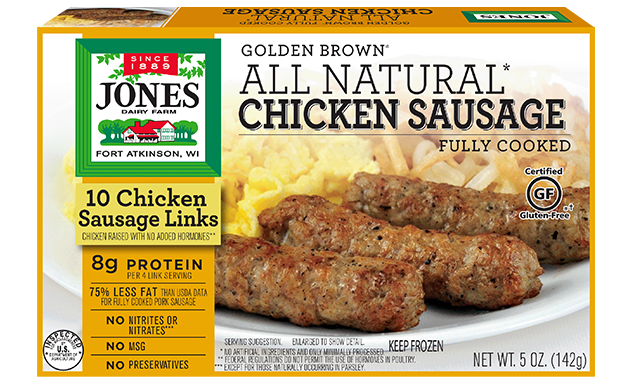 And with so many sausage varieties—from maple pork sausage links to savory chicken sausage patties—you can find the perfect Golden Brown® breakfast sausage for any meal of the day. 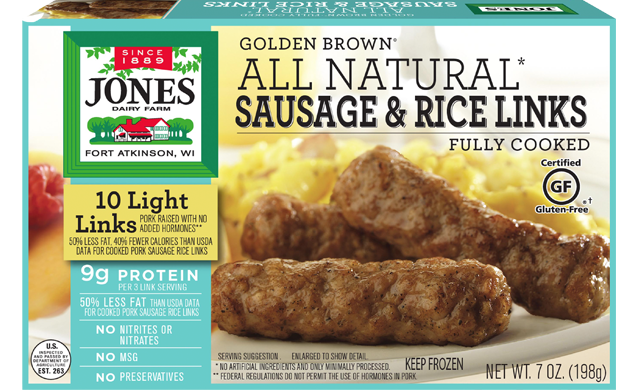 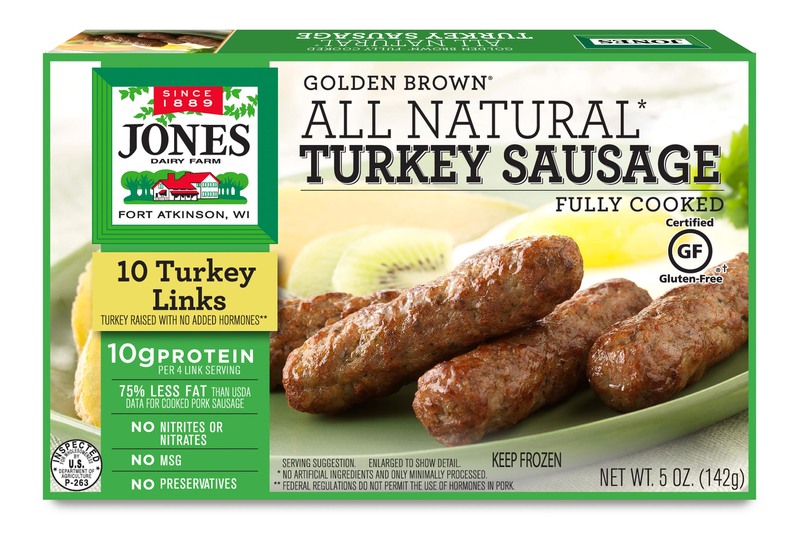 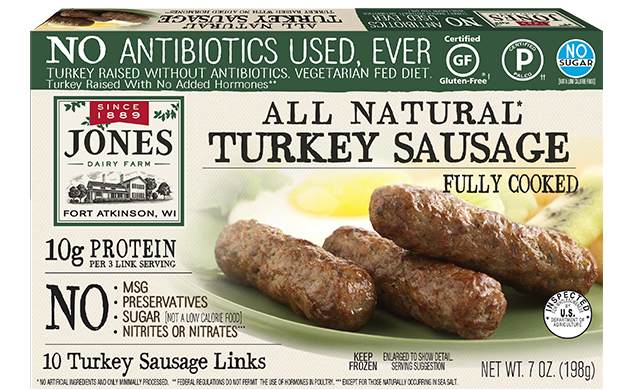 For all of the great Jones flavor with a fraction of the fat, try our new Golden Brown® Chicken Sausage links.